Mark Wallinger’s Folk Stones at first appears like an almost banal numbering exercise, a “significant yet pointless act” as he put it, recalling the labour of a modern-day Sisyphus. 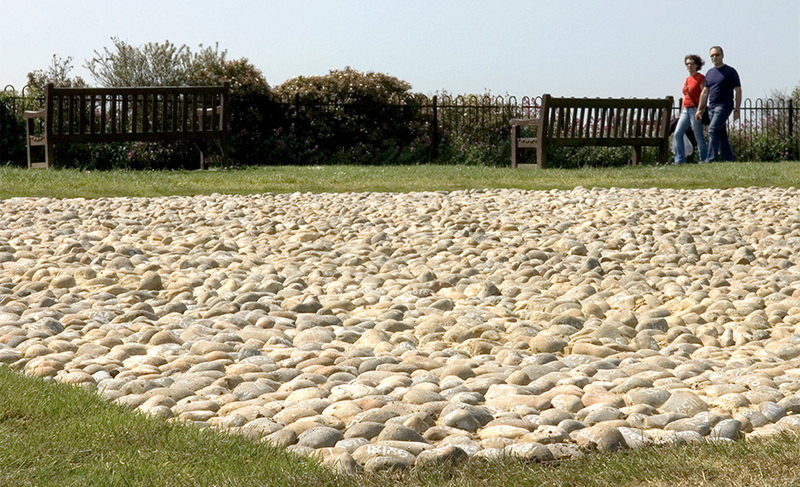 Yet the precise number of beach pebbles collected and laid out into a massive square reveals a profound underpinning: 19,240 individually numbered stones stand for the exact number of British soldiers killed on 1st July 1916, the first day of the Battle of the Somme. The work is inspired by the one million soldiers who left from Folkestone harbour to fight on the battlefields of France and Flanders.